If you are an owner of a business; whether it’s already big time or not, you should always look for employees that can be trusted. You wouldn’t want to spend time working with someone who is secretly being a goody-two-shoes in front of you, right? anyway, if you are also very busy with a lot of things, you will really need someone who can do half of the work for you and is really good in using her talent. Everybody has been wishing person who could do all of that and is you have already found the one, then good for you but always watch your back. There is no doubt that change is happening all over the world and even your most trustworthy employee can become a villain in just a snap of a finger. In order for you to assure that your workplace and business is safe, you will have to take extra precautions especially if one of your employees have done something terrible but don’t want to say that they have done it. you could ask for a lie detector test for them to take in order for you to resolve the issue and get it over and done with. 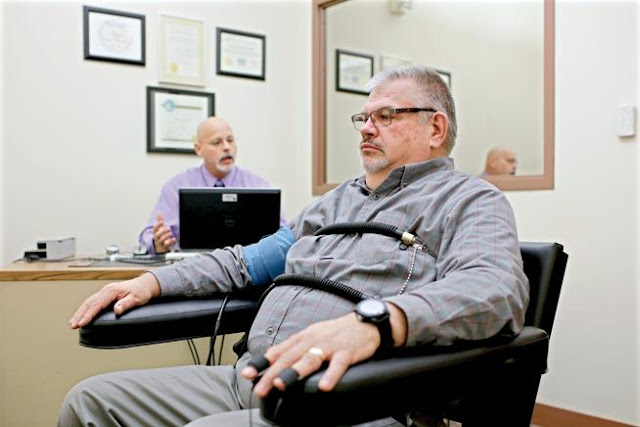 Once you have decided that you want them to take the lie detector test, you will have to hire someone or a company that handles these kinds of test and know how it works. They will be talking with the employee and ask for them to go inside a private room where the test will be taken. In there, the equipment is set up and the test usually taken is the polygraph test. They will then be asking some questions for the employee or participant to answer. It’s really quick and won’t take a long time before they are done. The EPPA is a federal law that basically protects employees from misuse when they are taking lie detector tests. Private employers are not allowed to subject their employee to this test unless the employee is somehow guilty with something that caused the employer to lose money or if he/she has affected the business in a very bad way. If they are allowed to take the tests, it has to be a polygraph test only. Governments are an exception to this rule and if you own a company which handles controlled substances, or if your company provides security services then it’s OK for them to have their employees undergo this kind of test. It is important that you provide a notice to be given to your employee as to why they are being asked to do this test, and the many factors surrounding the situation. Also, please let them know why they are being suspected of doing something that resulted with the company experiencing some problems or issues. Make sure that you cover all of your bases because the law is already a part of this and you wouldn’t want to screw up. It is essential that when asking your employees to take this test, you have to do everything by the book. This will mean that there are certain guidelines given to you and you need to ensure that everything is followed to have a very quick and easy procedure.